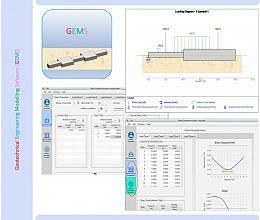 Beam Foundation Analysis (GEMS) is a feature rich, easy to use finite element modelling software for beam foundations. Package includes analysis of beam foundations using discrete spring-bed model and elastic half-space model. One Click Computation: One click computation and analysis for all load cases and models. Analysis Models: Analysis of the beam foundation using both/either models. Load Cases: Multiple load cases could be considered. Beam Diagram: Graphical representation of the Plan and Elevation View of the beam foundation. Loading Diagrams: Graphical representation of loading diagrams for each load case. Unit System: Data can be input in either SI units or ‘Commonly used American units’ (Kips for force and foot for length). Loads & Moments: The loading may consist of several concentrated loads & moments. Uniform Loads: Multiple uniformly distributed loads can be specified. Beam Weight: Self-weight of the beam may be included if required. Beam Dimensions: Different depths and breadths could be given for the beam. RCC inverted T beam sections and RSJ s could be considered by prescribing EI values directly. Prescribed Displacements & Rotations: Vertical displacements and rotations could be prescribed if required. 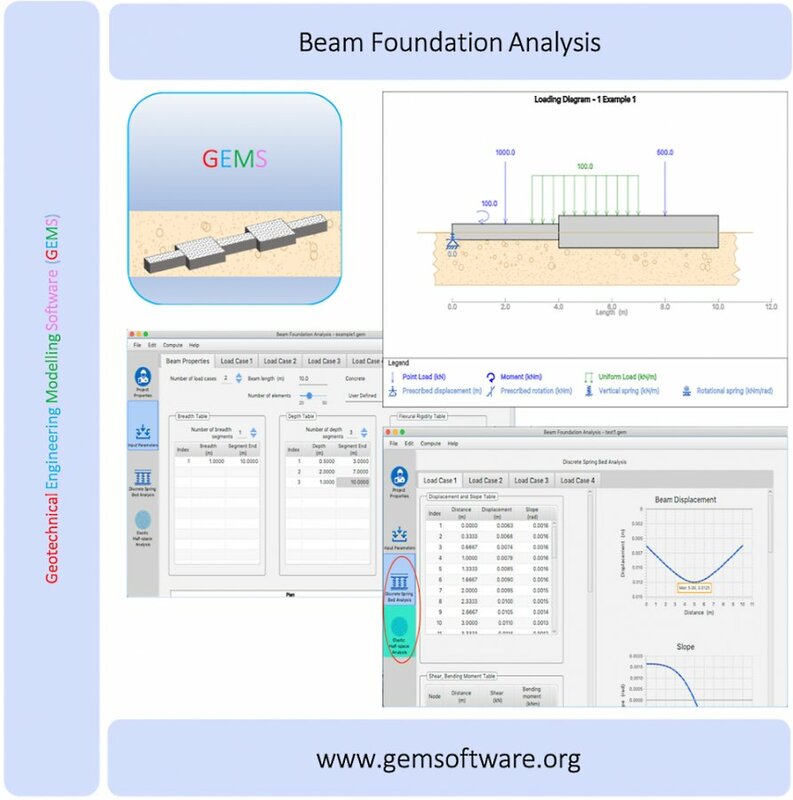 * GEMS - Beam Foundation Analysis download link provides trial version of the software. Advance Steel Version:2018 · Autodesk Inc.
GEMS - Beam Foundation Analysis has been rated 5.0 out of 5 points. A total of 1 votes cast and 0 users reviewed the software.